Toyota Yaris information: everything you need to know if you have pre-ordered it, are thinking of buying one or just want to find out more about Toyota’s supermini. Click on the links below for all of CAR magazine’s news, reviews, videos, scoops and spy photos of the new Yaris car range. We list the top 10 stories for each model – and where appropriate you can click on ‘More’ to browse even more of our archive content. 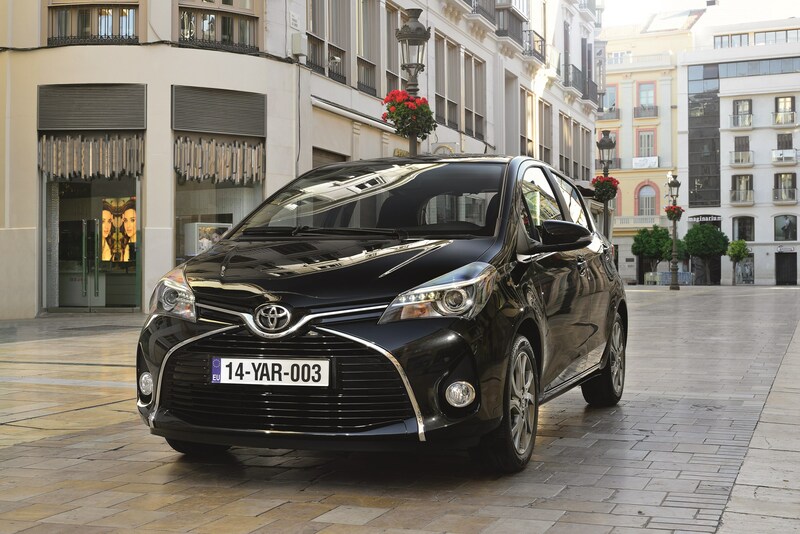 The Yaris is Toyota’s supermini, up against the likes of the Ford Fiesta, Renault Clio and Skoda Fabia. Unusually for a small hatch, you can choose from petrol, diesel and also petrol-electric hybrid power. Both three- and five-door versions are available. For more information on the Toyota Yaris click on our further stories on the links below. The Yaris is not a bad car. But it is an exceedingly dull one. A 2014 update included an interior redesign to make the cabin look and feel a bit less horrible but it’s still a joyless place to sit. Hybrid version can glide about under electric power for short periods at low speeds but things get noisier when the engine chimes in as its CVT transmission holds the revs sky high as the speed slowly builds. While the hybrid might make sense for buyers who do most of their driving in town, we’d pick a conventional petrol version. Or better still, one of the Yaris’s many rivals, most of which offer nicer interiors and a less insipid driving experience. Our tech correspondent raves about the new Yaris Hybrid.